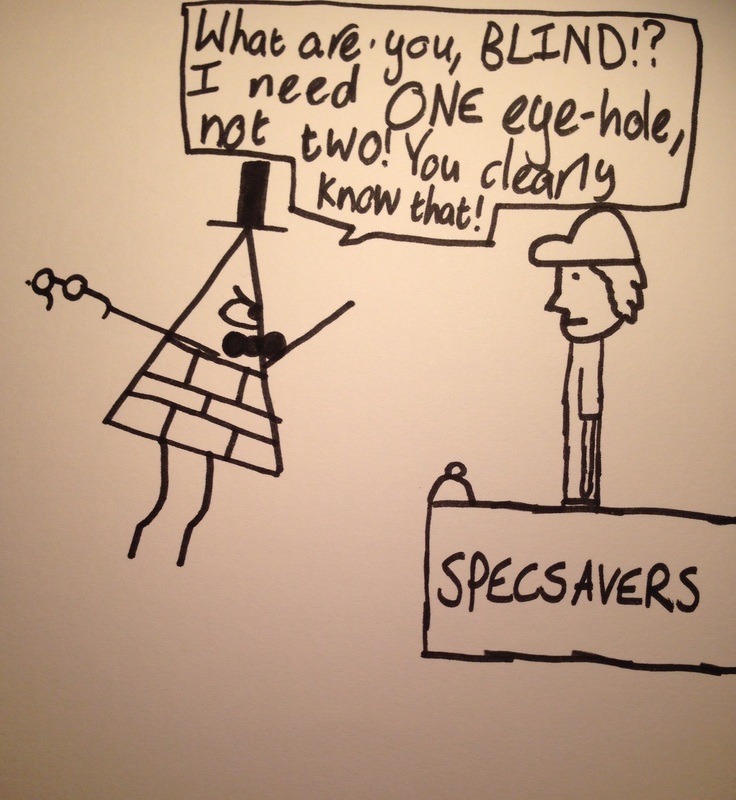 Bill at SpecSavers. Bill has trouble finding the right pair. HD Wallpaper and background images in the গ্র্যাভিটি ফল club tagged: photo. This গ্র্যাভিটি ফল fan art might contain সাইন, পোস্টার, টেক্সট, and চকবোর্ড.